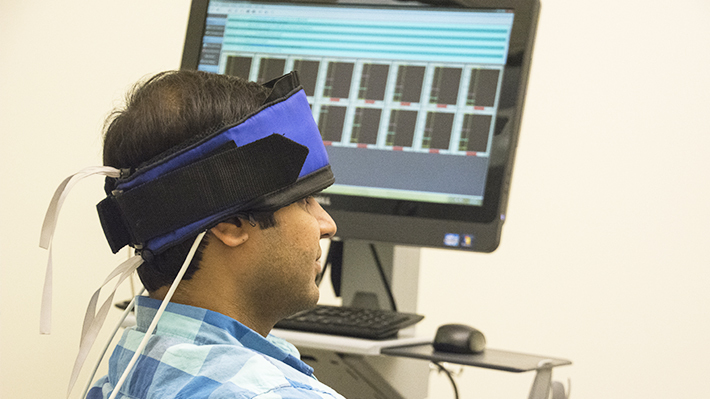 Drexel LeBow’s Center for Neuro-Business is a platform for creating and implementing solutions to key business challenges facing industry, government and society. The Center brings together researchers from Drexel LeBow, Drexel’s Applied Cognitive and Brain Sciences unit (from Drexel’s College of Arts and Sciences Psychology department) and BioMed’s CoNQUeR CollabOrative to deliver practical and enduring results to industry while also creating knowledge at LeBow through pioneering research. These services support the private sector to innovate, compete, optimize, engage and succeed, while anticipating disruption and change to their core competencies. By engaging with the Center, businesses benefit from working with Drexel faculty and students on targeted research and development projects, opportunities for strategic executive education, the ability to shape curricula and access to a pool of brilliant and capable students for internships and employment. Human decision-making that relies on rational processes has been considered suitable for traditional research approaches, but such methodologies have not always explained or predicted behaviors. With recent technological advances in the development of brain-computer interfaces and monitoring, technologies allow us to sample human thinking in real time alongside large aggregations of decisions (i.e., big data). With this technology we are able to examine the neurological correlates for behavioral responses to situations where people otherwise find it harder to articulate their response or provide a politically correct response. This use of technology to understand causality of human behavior and performance is a new frontier that will lead to a deeper understanding of the underlying processes that influence decisions made by managers, employees and consumers. The Center provides advanced career-building and professional development opportunities for students and opportunities for faculty to build partnership networks with local, state and regional leaders in all sectors of society. By offering a stage for direct interaction of the University with industry, government and community, the Center places Drexel University squarely at the nexus of the important issues of today and the future regarding economic development, policy innovation, and community action. Drexel University and SEI shared about the innovative testing performed as a part of this strategic partnership at a press conference on April 7.